Back and white room decorating appear dramatic and bold. Color accents and interesting details or modern decoration patterns help create beautiful black and white rooms that are fresh and stylish. 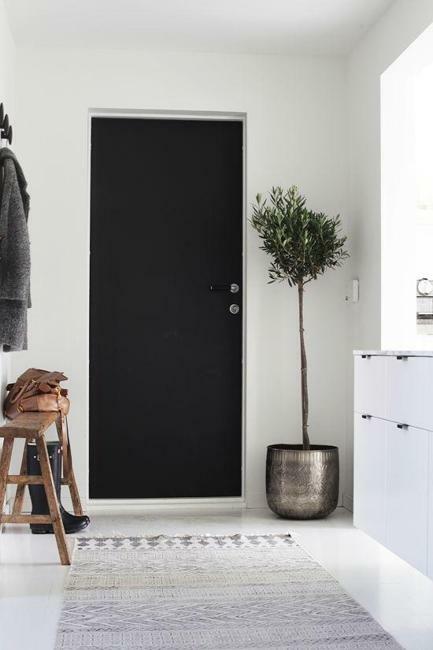 Lushome shares a collection of attractive room decorating ideas that soften black and white decorating schemes and add unique touches to modern interiors. Adding textures, modern decoration patterns, various fabric prints and wall art soften black and white room decorating ideas and neutral colors which do not need to be boring. Black and white decorating can be not just balanced, but also exciting, interesting and playful. Color accents, unique details, creative interior design and decorating solutions and unusual accessories bring life, interest and energy into neutral and sophisticated black and white color schemes. 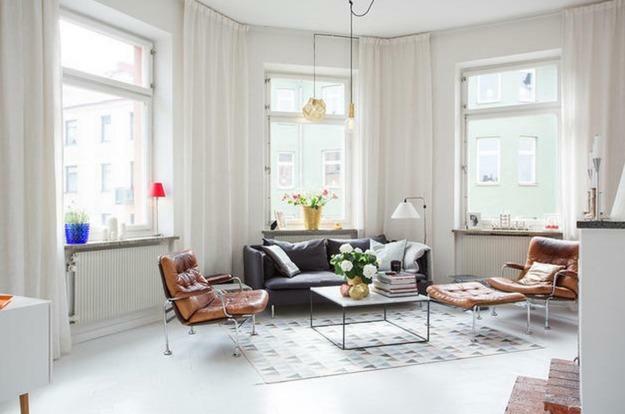 Modern decoration patterns, unusual displays, light garlands, DIY furniture and decor accessories, creative interior design ideas and bright color accents turn black and white rooms into amazing living spaces. Getting a little funky with bold fabric prints, handmade or vintage furniture and decor accessories helps add striking elements to black and white room decorating. Clutter free and elegant home decorating ideas are a must for black and white rooms. Too much chaos creates unnecessary drama with black and white decorating ideas. A touch of creativity makes black and white rooms inviting and unique. 1. Adding metallic paint to furniture or decor accessories make black and white room decorating more interesting. 2. 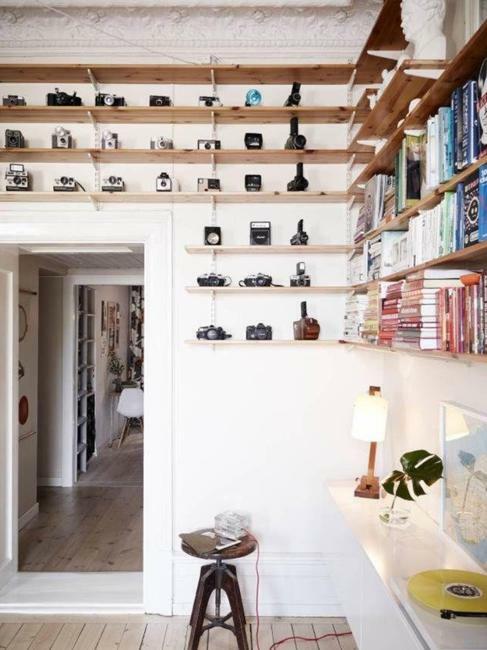 Creative and unusual storage ideas help brighten up black and white rooms. 3. 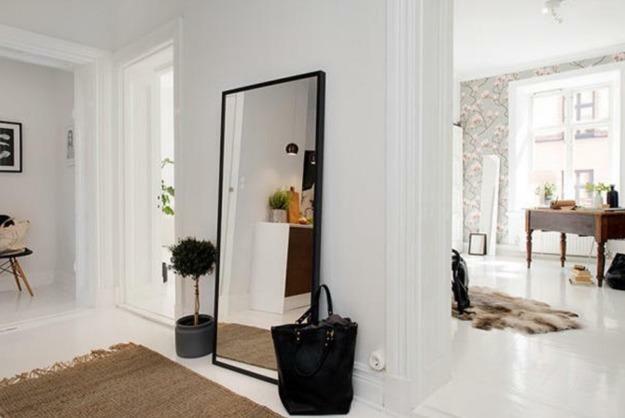 Large wall mirrors reflecting unique artworks, beautiful furniture pieces or decor accessories, bring more interest into black and white interiors. 4. 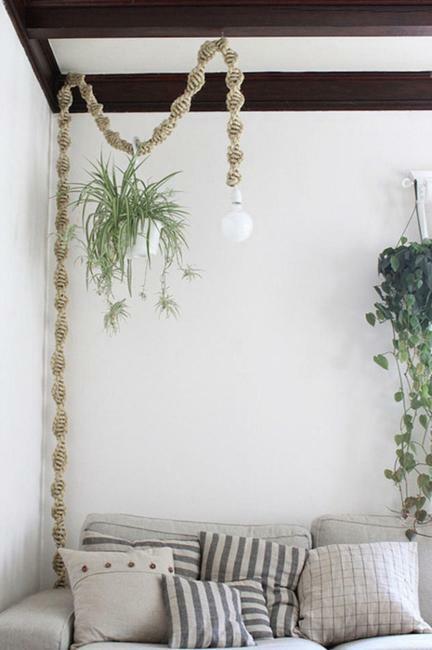 Unusual displays add gorgeous centerpieces to black and white rooms. 5. 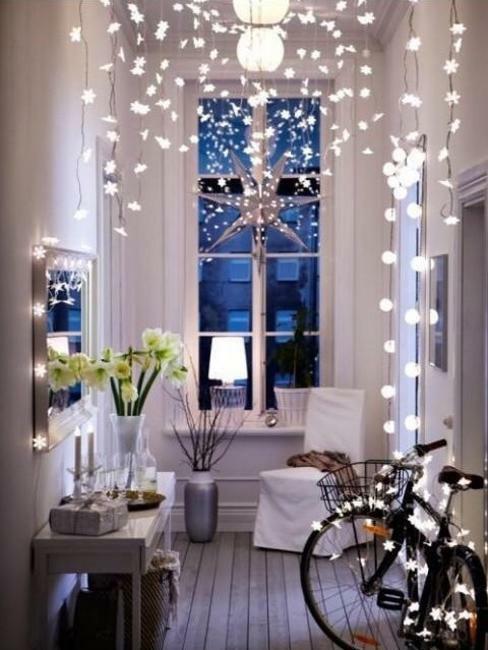 Light garlands and unusual lighting design help personalize and soften black and white decorating contrasts. 6. Rustic wood and items in vintage style can relax black and white decorating color schemes. 7. 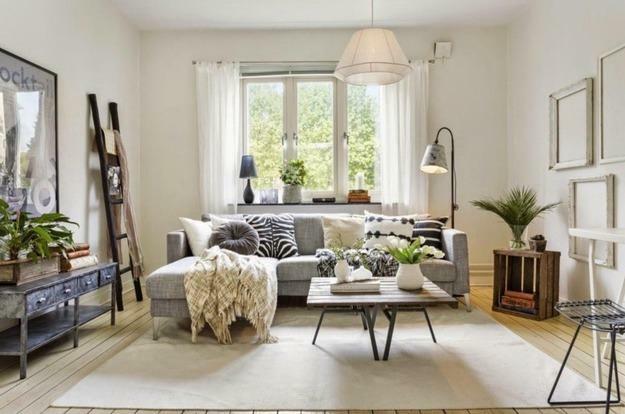 DIY furniture, decorative accessories and lighting fixtures make black and white interior decorating personalized and unique. 8. Dots of bright rich colors, even house plants that bring green colors into homes, are excellent accents for black and white room decorating. 9. 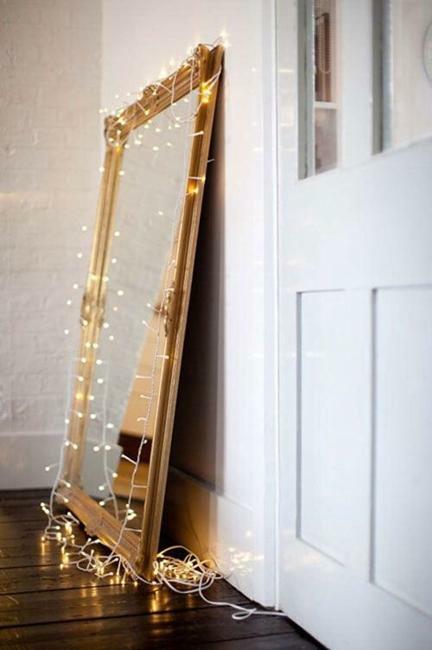 Combinations of lights and mirrored surfaces, wall mirrors and mirrored furniture or tiles look great in black and white rooms. 10. A single furniture piece in rich bright color brings energy into black and white interior decorating. Red colors are especially dramatic for brightening up black and white rooms. 11. Modern decoration patterns, zigzags, chevrons, stripes, polka dot and zebra prints give lift to calm black and white decorating color schemes. 12. 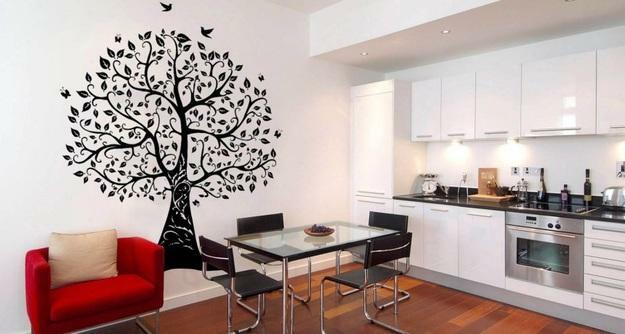 Creative wall decorating with vinyl wall stickers, black and white photography art, prints or paintings personalize black and white room decorating and add an artistic touch to modern interior design.